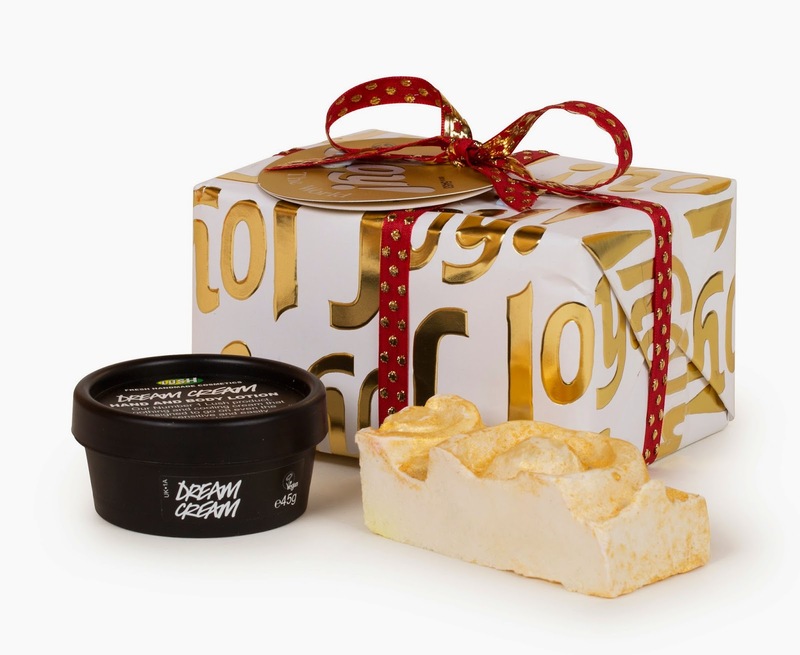 Beautifully wrapped and ready to give, Lush has a whole selection of festive gifts to delight everybody you know. Ranging from stocking fillers and secret Santa gifts, to traditional tins and luxurious hatboxes with more than enough bath and body products to see you through to the New Year. 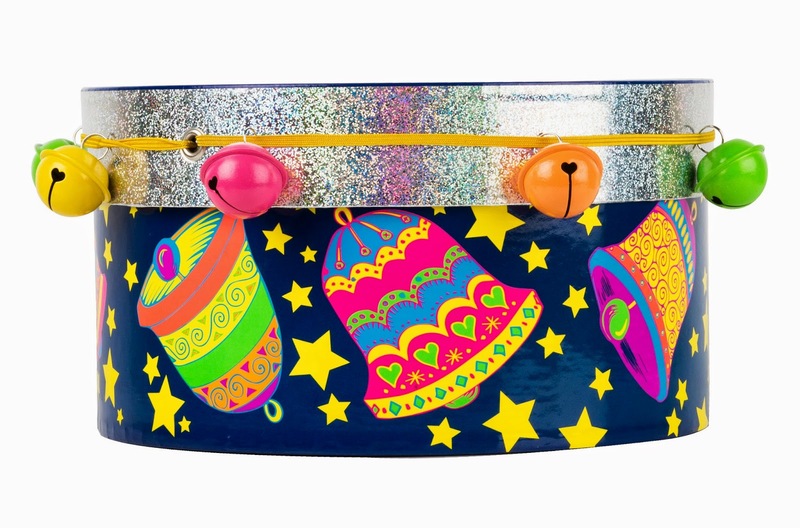 For those who are in love with the tradition of fairy tales, Lush introduces the Story Telling collection.Inspired by the stories of Hans Christian Andersen, this range showcases vibrant colours and exciting gifts all while telling their own traditional Christmas story. Inspired by a visit to the Beyond El Dorado exhibit at the British Museum, this gift range symbolises the opulence and decadence from El Dorado, offering a head to toe luxury experience with each gift. Inspired by Charlie and the Chocolate Factory and the Christmas theatre spectacle, Slava's Snowshow, the German Techno Nordic Pop collection is full of the most bright, vibrant and fun Christmas gifts! 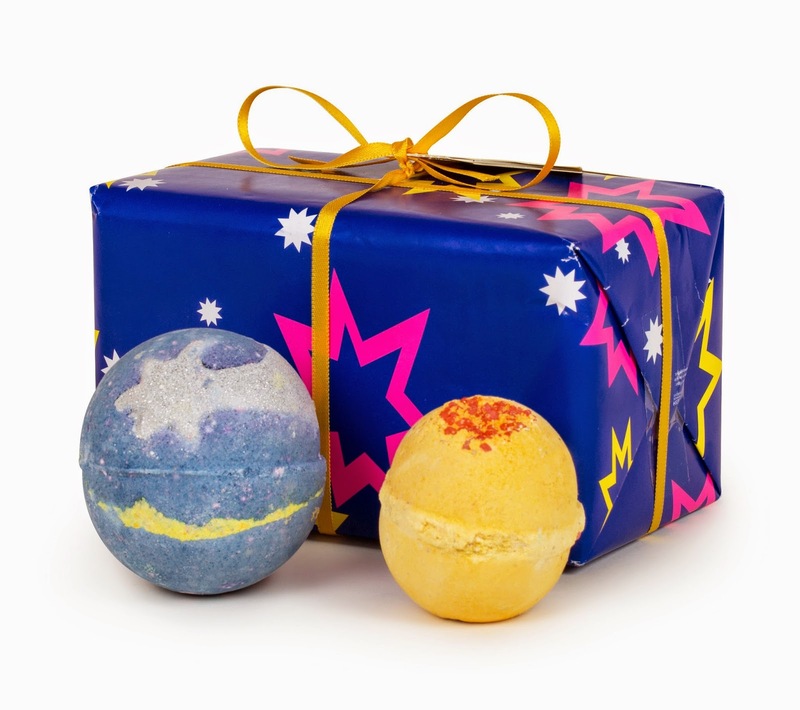 Contains: Shoot for the Stars bath bomb and Cinders bath bomb. Perfect for any bath lover.Cinders provides the crackling fire effect with bursts of popping candy as it fizzes away and Shoot for the Stars comes alive with captivating steams of colour through the water. Contains: Pink FUN (100g) and Snow Fairy shower gel (100g). 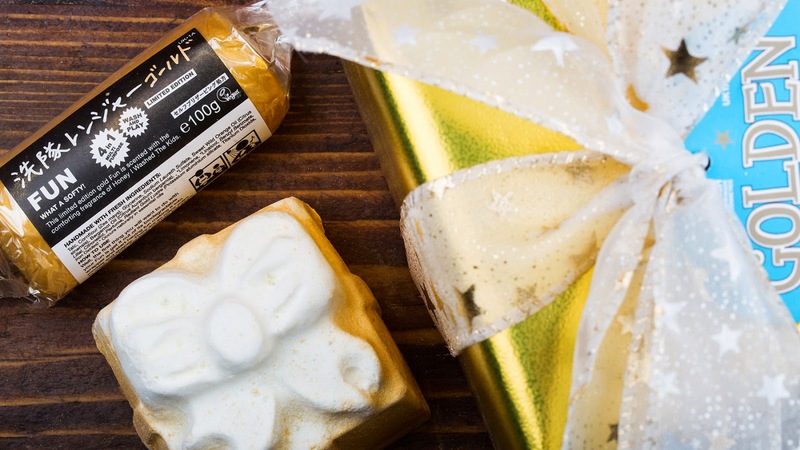 The perfect gift for those who love sweet scented baths and candy fragranced showers. Contains: Gold FUN (100g) and Golden Wonder bath bomb. For the ultimate golden bathing experience, this treat proves that luxury can come in small packages. Contains: Dream Cream body lotion (45g) and Snowcake soap (120g). A returning favourite for anyone who appreciates being soothed and comforted at Christmastime. 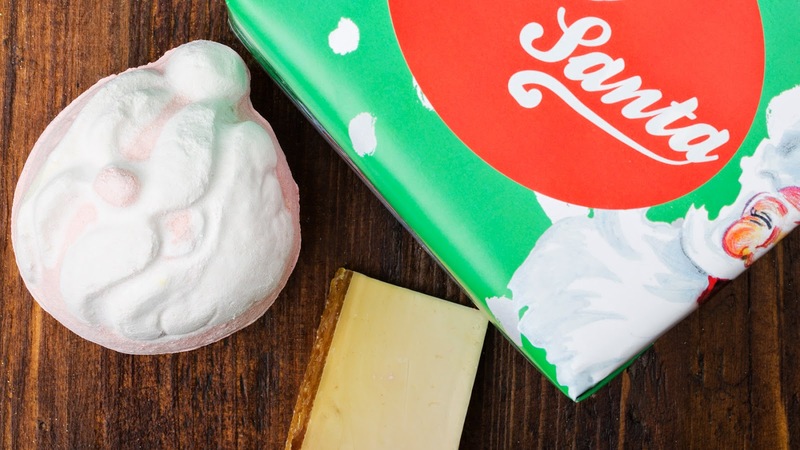 Contains: Father Christmas bath bomb and Honey I Washed The Kids soap (120g). Stuck for an idea of what to get your co-worker? Treat them to this traditional yet sweet gift this Christmas. Contains: Hot Toddy shower gel (100g) and Yog Nog soap (120g). A glittering box of warming and spicy treats, bringing to mind relaxing evenings in front of the fire with a hot cup of eggnog. Contains: Snow Fairy shower gel (100g), Candy Mountain bubble bar, Butterbear bath bomb and Rock Star soap (100g). A returning favourite, but still bursting with heavenly treats to enjoy all through Christmas. Contains: Father Christmas bath bomb, Twilight bath bomb and Christmas Eve bubble bar. Treat a loved one to this indulgent bath collection, perfect for cold winter nights. Contains: Hot Toddy shower gel (100g), Cinders bath bomb and Christmas Eve bubble bar. Bring alive the feeling of Christmas with this spicy and uplifting mix of gifts all wrapped together in a vintage inspired gift wrap. Contains: Karma soap (120g), The Olive Branch shower gel (100g), Cinders bath bomb, Golden Wonder bath bomb, Snow Angel bath melt, Hot Toddy shower gel (100g), Dashing Santa bath bomb, Honey I Washed The Kids (120g), Celebrate body lotion (45g), Holly Go Lightly bubble bar, Lord of Misrule bath bomb and Star Light Star Bright bath melt. An eye-catching gift shaped as the ultimate story telling book.With 12 beautiful products inside, one to use everyday in the run up to Christmas leaving you feeling clean and smelling of the festive season.